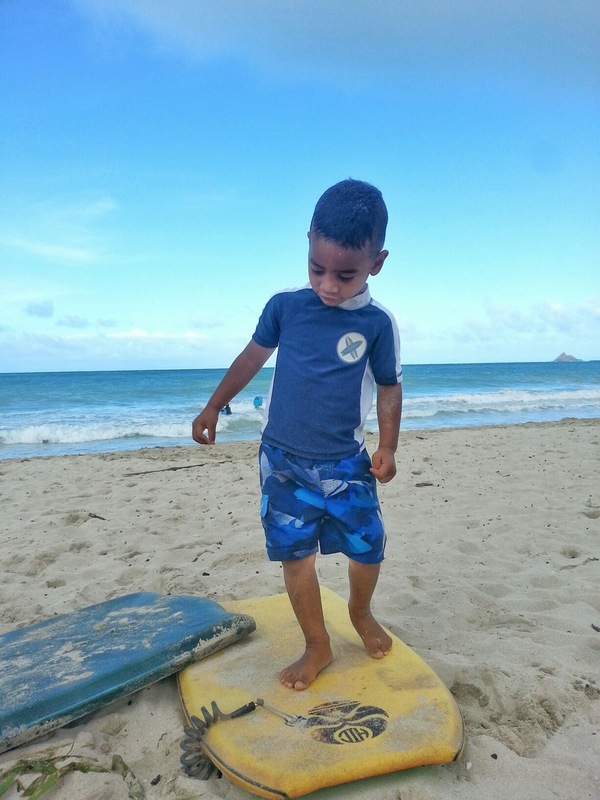 Other than being homesick, Fire is doing great in Hawaii with D. They're staying with our friends in Kailua and Fire has been eating up the little boy play time he's had with their sons. D was able to get him an ENT appointment for Monday (which might lead to some answers about all the screaming, the recurring ear infections, and maybe some insight on his verbal delays), and he'll have his hernia surgery on Tuesday. They are scheduled to fly out on Wednesday which means they'll arrive here on Thursday. I'm a little nervous about Fire flying so soon after his surgery, especially with the limited medical facilities that we have here but I guess we'll have to go with the experts on this one. Sky and her friend loved playing in it and even used it to stage a dance show for me. has been to not do it on my own. I have had friends over for dinner every.single.night this week and it has been wonderful. I just don't have enough hands or time to make dinner, feed the baby, and pay attention to Sky all at the same time. Because we live on a military base (and because I have wonderful friends anyway! ), people here understand how hard it is to do this by yourself and have been happy to help out. Sky has loved having her friends over to play and has even enjoyed the attention from the friends I've had over that don't have kids. It breaks up the evening and gives us all something else to focus on besides the empty spaces at our dinner table. An update on Sky and I: we've made it through the week without any further confrontations. The therapist helped me see that Sky's early training handicapped her listening abilities and while I've been seeing that every day in our home, having someone outside the situation point out the reasons for it has helped make me more understanding about it and patient with her. I've been working on changing how I give Sky instructions and how long I wait for her to respond to those commands and so far, it's been successful. It's been challenging for me to break out of my regular pattern of communicating but I like that it's forcing me to put more thought into the words that I use when I speak to Sky. I was able to arrange several play dates for her this weekend, which should help with the problems we had last weekend and I've got a few fun things planned to keep us from just sitting around the house. Look at this baby go! How was your week? Are you a single parent? Got any tips you could share with a short-time novice? Looks like a great week... I know what its like to single parent... Oilfield/Truck drivers wife here !!! Hats off to you for having friends over every night !!! The video was so adorable too ! That age is so fun is many ways ! Looking forward to following your blog !